The 36-hour Amazon Prime Day sale starts in just a few hours—not enough time, unfortunately, to set up a business on Amazon, work with their marketing team on promos, and swim in a sea of profits. But, the good news is that a rising tide (in the form of Amazon Prime Day promotions) lifts all online business boats. Amazon Prime Day drives more shoppers online, comparing prices and chasing deals on a wide-range of e-commerce sites. In fact, the first Amazon Prime Day in 2015 created a halo effect for non-Amazon retailers, with online traffic increasing by an average of 21 percent, according to BloomReach. If you have your own online business, whether you’re selling on another marketplace, social media platform, or an independent website, you can advertise discounts to get in on the increased traffic and sales. 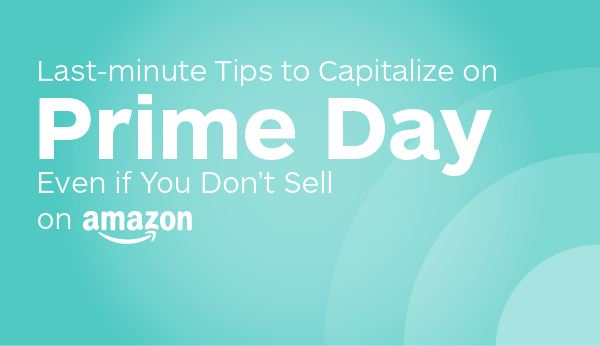 Here are a few last-minute tips for non-Amazon sellers to capitalize on Amazon Prime Day. Set up a promo code and advertise it on your website, social media, etc. There are even applications and plugins that you can use to easily offer promos on your site. 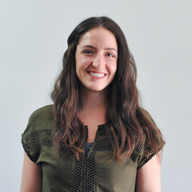 Wheelio, for example, integrates with Shopify to help websites offer promo codes as a way to generate leads. You’re not alone wanting to attract customers with discounts of your own—more and more retailers are timing their own campaigns with Amazon Prime Day. Between 2016 and 2017, the number of retailers issuing deals on RetailMeNot.com during Amazon Prime Day increased 340 percent. And, in 2016, 23 of the 50 largest non-Amazon retailers in the U.S. ran an online sale on Amazon Prime Day, including Walmart, Kohl’s, and Macy’s. As a non-Amazon seller, it’s going to be especially difficult to win over customers from Amazon during one of their biggest sales of the year. One of the key reasons customers will stray off the Amazon website is to compare prices. That means you’ll need to pay special attention to the list price for similar products from Amazon and your other main competitors. If these companies are slashing their prices for the day, you might want to consider doing the same for related products. A last-minute, affordable way to engage with Amazon Prime Day customers is on social media. Monitor the trends and hashtags to see if there’s a fit for your brand and tone. You can consider sharing your own promotions, tips for your audience members looking for the best deals, or jump into a trending conversation that’s happening. In 2015, for example, #PrimeDayFail was a popular hashtag on Twitter with consumers ranting about the lackluster deals. Every year #AmazonPrimeDay is a popular hashtag, although sentiment and popularity differs each year. See what’s trending today and tomorrow then determine if it’s authentic for your business to participate. Every brand has a unique voice, so it’s up to your team if and how you want to join in on social media. Amazon Prime Day has become a major opportunity for e-commerce businesses. In addition to your current promotions schedule, you’ll want to hop on the Prime Day sales to drum up some extra business during the slower summer selling season. If you’re interested in selling on Amazon in time for next year’s sales, check out our Amazon vs. eBay vs. Etsy comparison to determine which marketplace is right for your business.